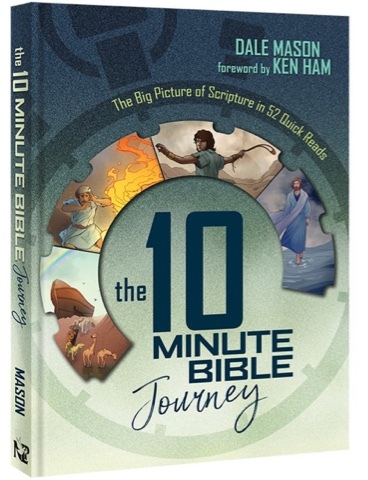 The following is a review of the 10 Minute Bible Journey from Masterbooks. We have begun our new school year. Our dining room table is covered with books. We took our school supplies to my parents' house one day this week to work on lessons while spending the day with them, and their dining room table was covered with books. Textbooks, notebooks, teacher guides, binders...I'm pretty sure if we tried to stack it all up it would be over two feet high. There is so much I want to accomplish this year. One senior, one in eighth grade... I still aim for starting each day with Bible study. A picture my husband sent me this morning ties in beautifully with the one below from the book. See it here on Instagram. This ebook hasn't added weight to our growing stack of books, but it is impacting our mornings. Sometimes we each do our own Bible studies. We each have verses we are memorizing and books we are reading. 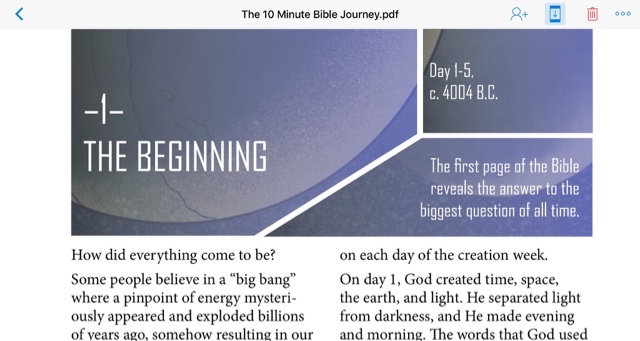 But some mornings, we sit around the table together and begin our day reading from the 10 Minute Bible Journey. I saved the ebook to my iPad with Dropbox. We take turns reading. If we do this together once a week, we will complete it in a year. These lessons begin in the beginning and progress, in order, through the Bible. There is a passage to read, typically about two pages long, followed by a list of Scripture references used as primary passages, a key verse, and a concise wrap-up. Sometimes there are illustrations. Bonuses are added between some of the lessons; questions are answered or short biographies are shared. I like that the reference passages are from both the Old and New Testaments, showing how the Bible verses are intertwined. 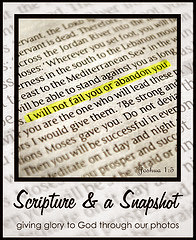 These 52 lessons can take you and your family through a year of key Bible passages. Lesson 52-- The Hope Of Heaven ends by sharing of our hope of the return of Christ Jesus. Or you could work through it even faster than us. 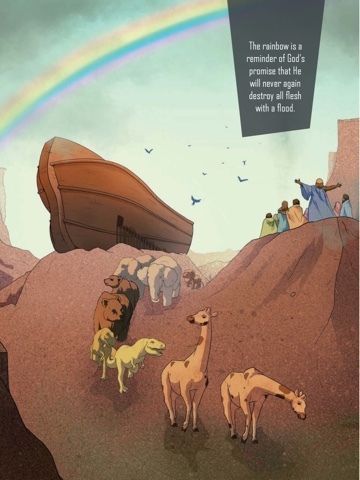 I recommend the 10 Minute Bible Journey both for families and for individuals. It is an easy way to read through highlights. It can be further enhanced by following the included guide for reading through the Bible. You can also connect with Masterbooks on Facebook and Twitter.